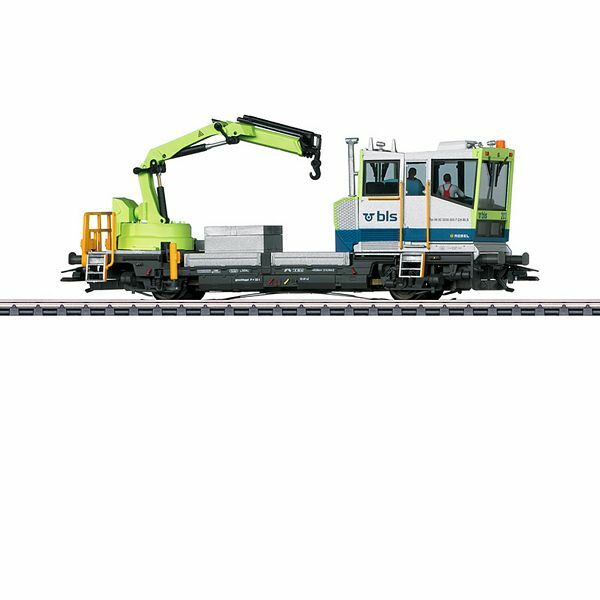 Prototype: ROBEL Tm 235 powered track car as a construction site vehicle for the BLS, Inc. With a movable loading crane. Used for maintenance and monitoring. The unit looks as it currently does in real life.